Earn $6.79 in Rewards credit. Click to learn more. All muscle for your fat bike. 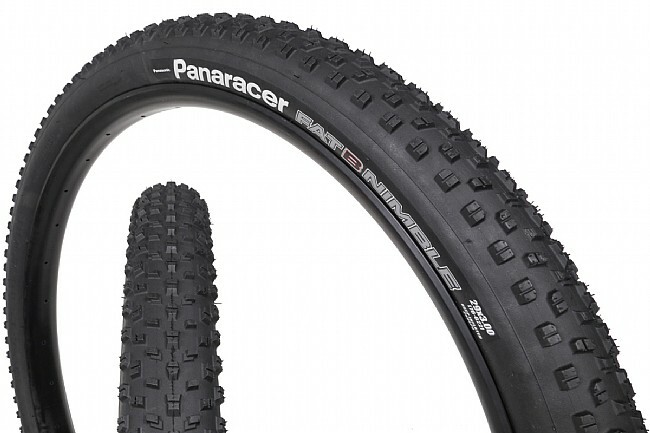 The Panaracer Fat B Nimble 29er Tire provides all-condition traction and speed for your 29-inch fat bike. It features fast-rolling, long, spindle-like knobs for excellent rolling efficiency, but sipes in the larger blocks and a staggered shoulder arrangement make for optimum grip and cornering. 120 TPI casing. Folding aramid bead. 29” x 3". Claimed weight is 765 g.